The US/Russian car making joint venture between Ford and Sollers is cutting 700 jobs from its plant in St Petersburg. The companies say a slowing economy and weakening ruble are a huge burden, and experts say other western carmakers could follow suit. A shrinking car market in Russia is dragging down demand for brand’s best selling Ford Focus and Mondeo models, which has forced the plant to a single shift. The manufacturer employs around 5,500 people in St Petersburg and Tatarstan and intends to suspend production for 58 days from April to June. "We regret that the company is forced to reduce staff, however this measure is necessary for the company in the currentconditions,” Gazeta.ru quotes Ted Kannis, the president and CEO of Ford Sollers. “Weakening of the ruble has an additional negative impact on company activities. Adopting new production plans under the current market situation, and also the timely start of new products will help us to minimize the influence of unfavorable economic factors on our business," Sollers added. The falling ruble makes it more expensive for automakers to buy parts from abroad, and product prices rise. On March 3 the ruble reached an historical low at 36.5 to the dollar. 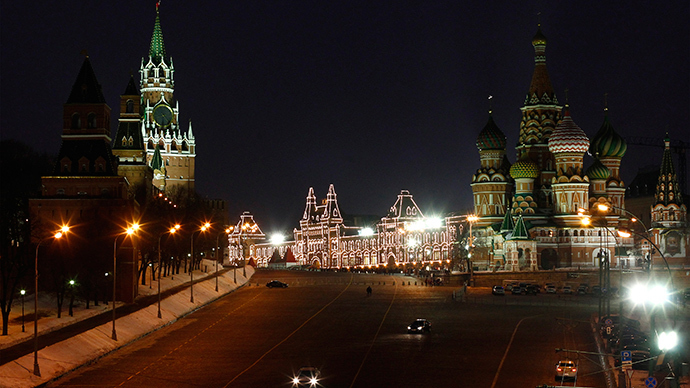 Russia’s central bank warned on Wednesday that economic growth would "most probably" fall below 1 percent in 2014. The bank’s governor Elvira Nabiullina said the bank's previous 2014 growth forecast in the range of 1.5-1.8 percent was now unlikely to be met. 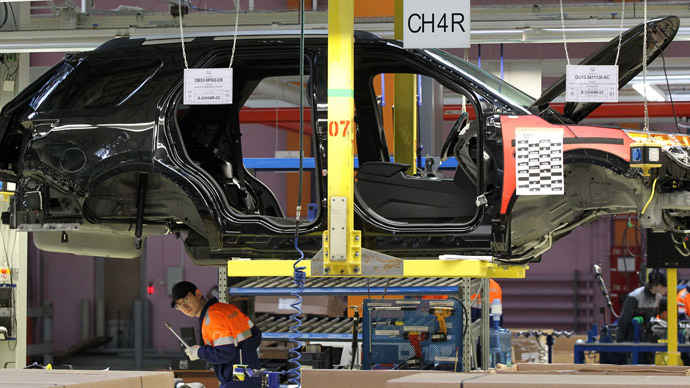 Regional authorities together with Ford Sollers intend to help soften the blow of the job cuts. According to a report by the Association of European Businesses (AEB), during the first two months of 2014 Ford sales in Russia decreased by 21 percent, to 10,500 cars compared to the similar period last year. The demand for the best selling Ford Focus was halved. In a year the Focus fell from 8th position to the 17th in the AEB rating of the most popular cars, sales having dropped 41 percent. The Ford Sollers plans to massively cut workers at the enterprise in Vsevolozhsk, as well as stopping production for two months, hasn’t surprised experts. They think a similar situation could affect car makers who are not producing cheap model lines. So, Nissan and Skoda could follow in Ford's footsteps. According to the managing partner of University of Sales Vitaly Novikov, Ford had seriously lost its position including price competitiveness. "The best selling Ford Focus model becomes more expensive than its rivals. Today to become the owner of a Ford Focus will costs you approximately 600,000 rubles ($17,100), while the Renault Fluence price tag starts from about 500,000 ($14,200). The customer doesn’t really care, what is important is the initial base price, and the minimum things such as two air bags, AC and two power windows. Today several brands sell these vehicles at a cheaper price than Ford," Novikov told RBC.